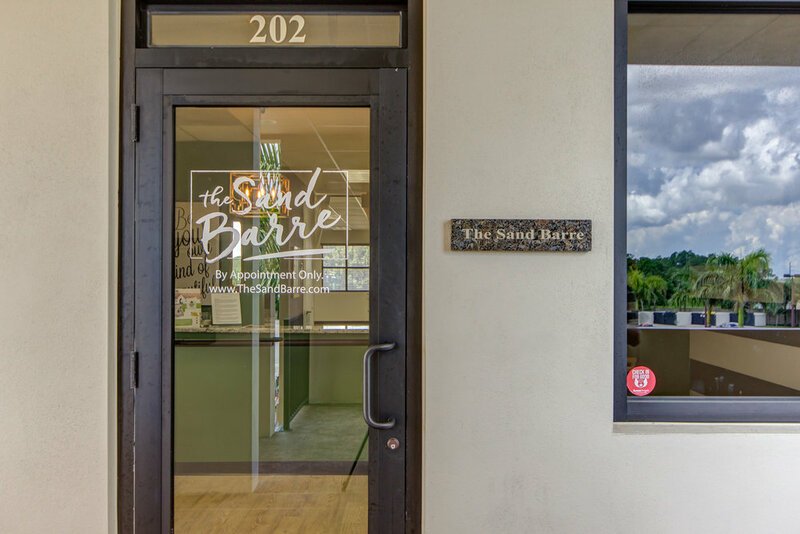 The Sand Barre community is made up of women who embrace life's journey, push boundaries, create opportunities, and are boldly claiming a healthy & fit lifestyle and future for themselves and their loved ones. We are a safe, form focused, results-oriented fitness studio. At our barre you will experience community, acceptance, encouragement and love. Finding balance in physical fitness, healthy living, and embracing the beauty of our every day lives. Every moment matters. Live it. Breathe it. Accept it. Grow from it. Challenge it. Love it. In a short amount of time, we have created an environment where our clients feel physically challenged, loved on, and accepted. It's a place where #weloveyourface has become a beloved slogan, and where our "Yes you can!" encouragement throughout our classes has created real physical and mental results. The Sand Barre was created for you. We aim to make your time at our studio a highlight of your day. Whether you need to sweat, unwind, kick some barre booty, or connect with new and old friends - this is where you belong. Our classes are challenging, but you are guaranteed to leave feeling stronger and renewed with a smile on your face. Our clients are family. It's our desire to know your strengths and weaknesses, & your goals and achievements so we can effectively come alongside you in your very personal fitness journey. Hear What Our Clients Have to Say…. Come in, y'all! The water's warm! We hope you feel warmly welcome and right at home in our boutique fitness studio! We are located in the brand new retail/office space at Meridian Place on the corner of Pine Ridge & Livingston Roads. It is near interstate 75 in the center of town - quickly accessible from all areas of beautiful Naples.